Dr. Oz: Ridiculously easy tricks help local nurses save lives! Ridiculously easy tricks help local nurses save lives! November 21, 2011 -- A year after The Dr. Oz Show featured naughty "nurses" dancing with Oz to promote exercise, the popular U.S. daytime program today offered what may have been an effort to make amends. In a 20-minute segment called "NURSES' SECRETS That Can Save Your Life," Oz paid tribute to nurses' knowledge. And the many nurses who appeared did convey something of nursing expertise, especially the articulate, poised career guru Donna Cardillo, who gave a capsule summary of the roles of modern nurses and the need for adequate staffing, and the nurse midwife Paula Jean Greer, who offered tips on reducing pain during certain procedures and how to use cabbage for home wound care. The nurses were admirably diverse and they all had something valuable to offer. At times Oz did seem to be humoring them a bit, but in general he showed a genuine respect for their health insights and a desire to learn from them. At the end, Oz even told the audience that he had learned much of what he knew in medicine from nurses! The segment was marred somewhat by the constant, condescending "secrets" approach, which presented nurses less as college-educated professionals than as a group of low-skilled helpers who had hung around health care settings long enough to have picked up basic tips 'n' tricks, some of which might strike viewers as pretty minor and hardly "life-saving." 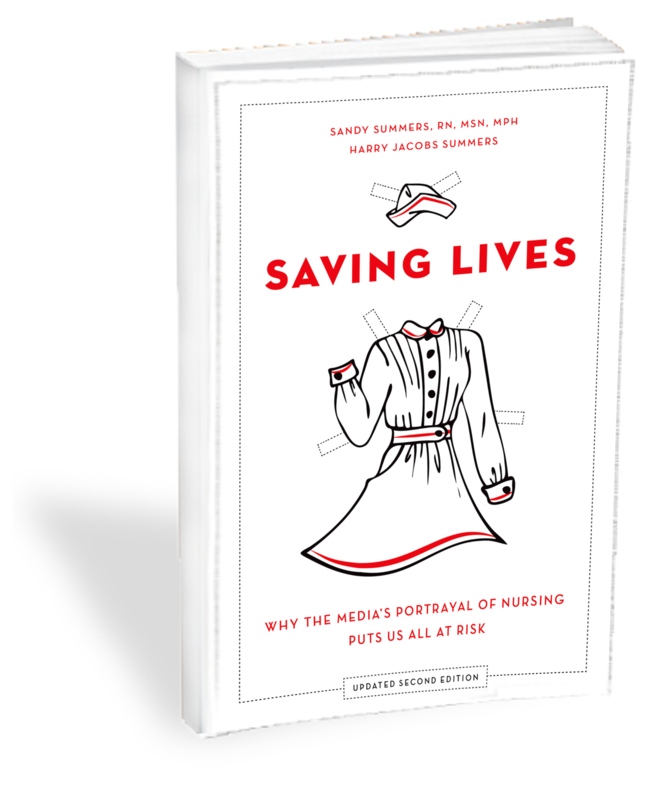 Aside from Cardillo's general summary, there was little about the advanced assessments and interventions that nurses make every day, and there was no real discussion of nursing education or advanced practice nursing. The segment seemed to be based in part on the November 2011 Reader's Digest cover story "50 Secrets Nurses Won't Tell You." Some of the secrets in the two items overlap, such as a questionable one suggesting that nurses are skeptical about all patients' accounts of their use of things like alcohol and tobacco. Today's Oz segment may have been in part a reaction to the Truth's early 2011 campaign about the show's dancing "nurse" segment, which received global press coverage. In any case, the Oz segment was vastly superior to Dr. Phil's deeply flawed effort to make up for its host's 2004 nurse-as-gold-digger comments, which conveyed almost nothing of nursing expertise. We thank Oz, the producers, and the nurses who played a part in the show. The game is afoot: Dr. Oz hunts for nursing secrets! The Dr. Oz show established the segment's theme right away, with a large graphic reading: "NURSES' SECRETS That Can Save Your Life." Oz entered and joined a diverse group of about 20 nurses, mostly in white coats, at center stage. He said that physicians don't have all the answers. Many times we don't. And when we don't, it's the people behind me who do. They're nurses! They're on the front lines, they're taking care of your health each and every day. And today, they're going to open up the doors to their world, to reveal the secrets that could save your life. Oz says that he will start with the nurses at his own hospital, New York Presbyterian. As we see scenes from that hospital, Oz says that nursing is one of the most "time-honored and challenging professions," and that "your life" is "in their hands" from the moment you enter the hospital. He notes that New York Presbyterian employs 4,600 "hard-working nurses" (how many lazy ones?). Then it's on to the secrets! An apparent OR nurse appears and reveals that if a physician says your surgery will be four hours, "we always tack on two hours." A graphic says, "Always ask a nurse for the exact procedure time." Similar graphics proceed to emphasize most of the major tips in the segment. Oz pops into a different hospital room and says, "Hey Claudia, I need a secret!" Claudia notes that plants and flowers might seem like a good get-well gift for patients, but "they actually might interfere with their ICU recovery because they have bacteria and allergies in them." A moment later, Oz pops into another room: "Hey Mike, do you have any nursing secrets?" Mike says that when a patient is told not to eat or drink anything after midnight, it means "absolutely nothing, not even mints, no chewing gum, because all of these things increase gastric secretions." Oz explains that those could come up into your throat in surgery and even cause pneumonia; Mike agrees. This is good in the sense that Mike seems to have some knowledge, but nursing research has shown that NPO orders are often unnecessarily absolute and can even be an impediment to recovery because of how much they can weaken patients. So just repeating this broad command from physicians does not necessarily serve patients' interests. In the next clip, Oz finds a nurse named Bonnie, who has been at the hospital since Oz started training. Bonnie says it's important for patients to talk to the nurses about their pain, because "we're the ones who manage their pain, not the doctors." That is great. More explanation would have been even better, but this is a start toward building public recognition of how central nurses actually are in monitoring and managing patients' pain, which nursing research has shown has a real effect on outcomes. Oz concludes in voiceover: "With years of experience to draw upon, our nurses have collected a treasure trove of secrets, secrets known only to them--until now." Back on the show set, Oz stands in the audience with many of the nurses who were on stage. He introduces "Gloria," saying he's worked with her for 20 years. He asks how hard he is to work with, and Gloria says not hard at all, because he's "very nice" and "very competent." The audience claps. Yay! Oz claims he did not expect that, because she never said that to him before. Was she supposed to have said it to him before? And there's obviously a manipulative element here; what was she going to say on the nationally syndicated television show of a physician who practices at her hospital? Oz asks the nearby nurse "Mary Ann" if she's surprised how many "secrets" they were able to get just from the nurses who came today. She says no, because nurses are at the forefront of patient care, with the patients all day, so they know what patients need. Oz walks center stage and explains that today, nurses are going to reveal five secrets that could "save your life." The nurses are all professionally dressed either in scrubs (like Oz) or in a white coat. The first is Donna Cardillo, who we learn has been a nurse for more than 30 years and is known as the "career guru for nurses." In fact, since March 2011, Cardillo has also served as a blogger for the Oz show's web site doctoroz.com. Cardillo joins Oz in front of a big screen with her basic credentials and the headline "NURSES SECRET #1." Oz asks Cardillo what her secret is. Cardillo: Dr. Oz, we are your primary caregiver, not your doctor. Oz amiably asks her to explain, as a graphic lists her point as "Secret #1." Cardillo: Well, when physicians and nurse practitioners admit people to the hospital, they create a plan of care for them. But nurses also create a plan of care for their patients. We're going to advocate for you, do health education, but most importantly, we're going to be 24/7 at your bedside, front-line, closely monitoring minute-to-minute what's happening with you, so that we can notice subtle changes in condition, we can initiate emergency actions if necessary. We're going to do counseling, coaching, and so on. And we're also going to help you navigate your way through the complex and confusing health care system, because that's particularly important if you've been given a diagnosis of cancer or something more serious. And just as a reminder, nurses don't just work in hospitals and with sick people, we also work in the community, in nurse-run clinics, in the public health sector, in schools, and in business and industry. Oz: In the hospital, if you want to get the best care possible, what's the golden rule, what's the number one rule you gotta follow? Cardillo: OK, Dr. Oz, we know that the fewer patients a nurse has to take care of, the better the outcomes and the fewer complications for that patient. So in an ideal setting, if one nurse had about 5 or 6 patients to take care of, in a regular medical-surgical unit, that would be great. In a critical care unit, it would be about one nurse to 1-2 patients. But the hospital also has to take into consideration how sick those patients are and the experience level of the nurse. It's a question people have to ask, it's important, but the bottom line is the more qualified nurses at the bedside, the better it is for the patient. Oz: And there are a lot of folks out there trying to choose their best doctor, and paying attention to the subtlety of that, but what you ought to focus on also is how many nurses are there, especially in these critical areas. Cardillo alone gives viewers a good capsule summary of what nurses do and how important it is. She emphasizes nurses' advocacy role, their holistic care model, and the diversity of practice settings. Cardillo even underlines the importance of nurse staffing. And she gets in a reference to advanced practice nurses, otherwise a glaring omission on the show (nurse midwife Greer does appear, but her practice is not explained). We might quibble with the specific staffing ratios Cardillo cites, which are a little low for safe care based on the relevant research. Also, "experience level" doesn't quite convey that nursing skill varies even among those with comparable experience because nursing is an advanced profession like any other. And Oz's response suggests that physicians have unique personal skills, but nurses are just about "how many" there are. Indeed, the common thread in the little credential summaries for the five nurses who appear on the segment is how many years they've been a nurse. It's pretty unlikely that the main credential cited for a physician would be how long they've been in the profession. And we might have wished that it was made clearer that those better "outcomes" Cardillo mentions include lives saved; it's not just a little bit less trouble or more comfort. Still, Cardillo delivers a great deal of information about nursing in very little time. Oz thanks her and she's gone. Oz: Next up and here with the second secret that could save your life is nurse Nate Barkley from Jersey Shore University Medical Center, he's been a nurse there for eight years. Nate, what is your secret? Barkley: Well, my secret, Dr. Oz, is that we know that people don't always tell the whole truth. Oz: The whole truth. Let's give the audience a few examples. I actually have heard this a couple times from nurses and I think you're right. So, when a patient tells you they're having a couple drinks, what does that mean to you? Barkley: We hear they're drinking probably twice as much . . .
Oz asks what if someone says she smokes a couple cigarettes a day, and Barkley says he hears that she smokes "probably up to a pack," which Oz jokes is pretty pessimistic. Oz asks what if they say they exercise a couple times a week, and Barkley says that means "rarely if at all." Barkley says those who exercise are happy to talk about it and encourage others, noting that "we know that exercise has an important impact on our health." Oz asks why people fib, and Barkley says they're embarrassed, as we all are when dealing with personal things. Barkley: We need, as health care providers, that information so that we can render the best care possible. We're not judging, we just want to be sure that we get this information. It can affect the way we treat you. Oz endorses the "not judging" idea (however realistic it is to claim that a health provider isn't judging at all). Oz moves with Barkley to a nearby table to give a couple examples of why it's important to tell health providers the truth. On the table there is a narrow funnel labeled "kidneys and liver" leading into a clear plastic cube labeled "Waste." Oz starts pouring in some blue powder from a container that he says represents foods that are "sometimes good and sometimes bad," presumably meaning a diet with some good and bad elements. Oz says your liver and kidneys can "cope" with that, but if you start adding things like supplements, alcohol, and cigarettes it can cause you to wake up when you're under anesthesia, because your liver is working in unexpected ways. Meanwhile, Barkley has been pouring from other containers representing those things, causing an overflow of powder. Oz also notes that medication doses can go wrong because your liver overreacts or underreacts. He urges the audience to be honest with "doctors and nurses" about everything they take. Then he asks Barkley how he suggests people keep track of this. Barkley says one thing people can do is to carry a personal information card, and he gives Oz one. Oz shows how the card folds out to reveal information, noting that "simple things like this can save lives." He thanks Barkley, urging him not to lose his card. This tip about nursing skepticism also appeared in the Reader's Digest "secrets" feature. But some people actually tell the truth to health providers. And announcing to the world that health providers doubt what everyone tells them might, ironically, encourage people to lie more. Why would a person tell the truth about how much he drinks or smokes if he thinks the listener will automatically double it? It could be argued that health providers should not assume anything, but take cues from how patients act. Some patients encourage skepticism, others do not. Of course, to the extent viewers just take this tip to mean they should tell the truth, that's great, and far better than the advice from "Doctor X" in a 2005 Good Housekeeping feature that ED patients should lie to triage nurses in order to be seen faster, but then tell physicians the truth. Unfortunately, Oz does virtually all of the talking here, and he comes off as the real expert. For the third "secret" that can "save your life," Oz introduces nurse Holly Rae Stone, who has been a nurse at Maryland's Anne Arundel Medical Center for 10 years. Stone: My secret is, Dr. Oz, that when a nurse says you should consider getting a second opinion, it's a code. . . . I have worked in many different places, and I have seen nurses suggest to patients to get a second opinion because they have been concerned with what the doctor suggests for the plan of care. And I take my cue from the patient, if they are saying to me that they don't understand what the doctor wants me to do, or "I'm not so sure that's the right treatment for me," it's my job to be their advocate, and that can include getting a second opinion, so that they can be sure that they're doing the right thing for themselves. I can't be worried if I'm going to bruise a doctor's ego, I have to do the right thing for the patient. Oz thanks her for doing so. He confirms that Stone is actually saying that if a patient asks her about something, she is asking the patient to reconsider the care he's getting. Stone says it's important to "empower them so that they are comfortable with the right decision." She notes that sometimes what a nurse doesn't say to a patient can convey something. Oz nods, noting that silence can be meaningful, and that he's gotten a "bonus secret" from her. We assume this means that if a nurse pointedly fails to endorse something a practitioner has said, or the practitioner herself, that can convey doubt. That could have been spelled out for an audience that the show felt needed the funnel demonstration to understand how livers and kidneys work. Anyway, it is very helpful for the audience to hear that it is nurses' job to advocate for patients, even if it might harm physician egos, and by implication, that nurses would have the knowledge required to question physician care plans. And we liked the way Stone phrased her description of those plans; not "orders," but "what the doctor suggests for the plan of care." Oz says they will now head over to the "truth tube" and discuss "three things that nurses want you to look for when you're choosing a doctor." (Will one of them be considering not choosing a "doctor" at all, but instead an APRN? Ha ha.) The "truth tube" seems to be simply a display that will list the upcoming physician-choosing tips. Oz says that in choosing "doctors" for his family, he asks the nurses, "because they deal with all the doctors. As doctors, we don't deal with all the physicians." The first tip is to look for a physician with a full schedule, and Stone compares it to choosing a hairdresser, you don't want the one who has little else to do. The next tip is to look for, as Oz puts it, a physician who shows "subtle signs of safety." Stone explains that this means what physicians do to show they are putting patients' health first, like whether they wash their hands before touching you or before using the stethoscope. Oz notes that her last tip is that physicians should be "comfortable with non-traditional forms of healing." Stone says that for centuries things like herbs, oils, and massage have been seen as helpful, and if a physician balks at those, she may be excluding something that is right for the patient. Stone stresses that health care is more than just medicine--which is certainly true in the sense that it also requires nursing, though that's not really what she's talking about. Oz thanks her. Oz introduces the fourth "secret that could save your life" as coming from "pediatric critical care nurse" Jennifer Chaikin, who has been at Georgetown University Hospital for 16 years. We like the introduction of Chaikin by her specialty, in contrast to the descriptions of the last two nurses. Chaikin: My secret, Dr. Oz, is that there are both good times and bad times to speak to nurses. [A table with three clocks is rolled out to illustrate.] The first bad time would be 7:00 a.m. The reason for that is that 7:00 a.m. coincides with change-of-shift in a hospital system, and when one nurse is coming on shift and the other one is going off shift, if that is actually interrupted, then that can break down communication, and when they're reporting off to each other about your care or your family member's care, a vital piece of information could actually be missed. Oz notes that the nurses will be going "like a little chatterbox in there," talking about you the patient, but that's actually a good thing. We'll let that go, lest we be seen as little chatterboxes. Chaikin: The next bad time to speak to a nurse is actually 10:00 a.m. And the reason . . . is that in acute care settings, 10:00 a.m. is a standard time of medication delivery. And just like the safety issue with communication, the safety issue regarding medications is very vital to, clearly, patient safety, and actually in hospitals now there are no-interruption zones, but that is in order to prevent medication errors. Oz notes that those happen a lot and can only be prevented by health care workers paying attention in critical times. Then he notes that there are a couple good times to talk to a nurse. Chaikin: Yes, so, the good time relatively speaking is 3:00 p.m. in the afternoon, we'll also say 3:00 a.m. in the morning, which, I don't know who's awake then, but, you know. Considering that in the 24/7 time that nurses are actually at the bedside taking care of patients, 3:00 p.m. is a good down time-ish time to kind of speak to the nurse, even if it's either you or your family member, to be able to . . . just kind of get the plan for the next 24 hours, because that nurse, he or she definitely knows that plan at that point. This is generally pretty good advice, though hospital times do vary and nurses have to respond to emergencies at any time. The 24/7 statement at least reminds viewers of the arduous round-the-clock work nurses do, though something more specific than "take care" would have been even better. More could also have been done to explain the potential consequences of communication and medication errors. And the mention of the nurse knowing the plan for the next 24 hours has some value, but it also implies that the nurse probably had nothing to do with creating the plan. After Oz thanks Chaikin and she leaves, he says the fifth tip "that can save your life" comes from Paula Jean Greer, a certified nurse midwife at Harbor Hospital in Baltimore who has been a nurse for 37 years. To Oz, this long career means "she's got a lot of secrets." Greer smiles at this. Greer: Dr. Oz, my secret is you have to ask us, and I mean you have to ask us, but we do have secrets on how to make your tests and your injections less painful. For example, I'm going to draw your blood. [A table with equipment appears.] For those of you who are allowed to have something to drink, and you know you're going to have your blood drawn, make sure you load up with at least three glasses of water so we can find your vein. Absolutely don't come dehydrated. Oz endorses this as a good solution for those who "whine" about small veins, and says we also have a numbing cream. Greer: Some people who need their blood drawn, or they need IVs started, big injections, little do they know that if you asked us, we could provide some numbing, by putting some cream on, and making it much less painful. Oz asks the non-nurses in the audience how many knew that; not many did. But, Greer repeats, you have to ask. (We're a little baffled by the repeated emphasis on this, and viewers might be too. Why should you have to ask? Is it health care, or a game? Oh, that's right--nursing knowledge is a secret!) Oz says that lastly, they have something for intestinal exams, and indicating a glass container labeled "barium solution," he says that he wishes he had known about this. Greer interjects, "When you did your colonoscopy?" Oz says yes. Greer: Well, and I tell my pregnant patients, if they have to do the sugar test for example, drinking that very sweet drink is not pleasant, but the colder anything you have to drink, for your stomach test, for your sugar test, get it as cold as humanly possible, and it goes down much quicker, and much easier, it's done. Oz confirms that this freezing is fine for any of these tests, that they work just as well, so "ask the nurse, and learn a secret." He asks Greer if he got it right. She says yes. Explaining why he asked, Oz makes an odd comment about always being "baited" by nurses, but he tries to save it by adding, "it's good, though." Whatever. When the show returns, we see a couple head shots of unidentified nurses delivering secrets. The first: "My secret tip for you today is when you're with your provider, and he asks you if you have any questions, ask him, 'What would you want to know if you were me?'" That makes sense, and we like the use of "provider" rather than "doctor," though it's pretty subtle. The second nurse reiterates that it's critical not to hide things: "The most important tip I can give to patients is to please tell us the truth. You're not going to shock us, and we're not going to judge you." Back on the set, the five nurse experts from the earlier portion of the show--we'll call them "experts," though the show never does--appear lined up on stage. Each stands behind a small table with equipment on it. Oz says, "Our nurses are about to reveal a healing secret that they use in the hospitals that you can use at home." He turns to the senior nurse midwife Greer, and then notes, in a voice bordering on elderspeak, that she has "a healing secret for wounds." Greer: Yes, I do. Nurse midwives have known for years that cabbage has a lot of effective properties. So when you get that wound at home, and you don't have anything in your medicine cabinet, you can actually take a leaf of cabbage, nice and cool and comfortable out of the fridge, and put that directly on your wound. [We see her put some on a manikin arm, as Oz offers to assist and does.] And then you're going to wrap it with some gauze, and actually what happens is the cabbage draws out all the exudate and all that nasty stuff from the wound. So you're going to have to change the dressing, of course, the nurse is going to have to come back. [Oz observes that "moms" can do this at home.] Yeah, very easy, and it feels good, so you know that kid with the boo-boo? That cabbage is nice and cold, it's like that little ice-pack. Oz jokes that you can eat what's left over, and he thanks her. Oz's assistance of Greer is a good role reversal, even if there is an ironic edge to it, because she is demonstrating valuable health care. Greer herself is smooth and in control--like Cardillo, she comes off as an expert. Oz moves on to Jennifer Chaikin, noting that she has "the perfect way to fight a cold." Chaikin agrees, noting that she uses this method for herself, her husband, and her kids, explaining that it's "hypertonic saline nasal wash, it's kind of like the Neti pot, but it's cheaper." Oz asks her to "teach me about it." He explains for the audience that hypertonic means lots of salt. Chaikin: Lots of salt, yes. So in fact, we're going to use three heaping teaspoons of Kosher salt, we use the Kosher because it's non-iodized and that's important for allergy-related reasons. We use one teaspoon of baking soda. [Oz puts that in, making another joke about getting to assist.] And you just mix it up, and you're using a quart of warm tap water . . . So, you can use a bulb syringe, like the big green ones you use for infants, you can use that for an infant but just make sure you're not using too much pressure, or you can use one like this [demonstrating] which has got a little tip on it, and then you can, make sure the pressure behind this is fine. Oz notes that she is a pediatric nurse, and asks at what age parents can use this. Chaikin: You can use it in infants, so less than a year old, you just need to make sure that you use drops and you let it fall out the other side as opposed to actually using pressure. So you're just going to fill it up . . . [Oz asks her to demonstrate, joking that they should get a super-close up of her nostrils.] . . . and you're actually just going to put it right in one side of your nostril. It's all connected, so it actually just flushes out the other side of your nose, there it goes. [She laughs and dabs at it; this is not an easy thing to demonstrate on television.] It's great for chronic sinusitis, especially. It might have been good to hear a little more about why this is helpful, but Oz says that it's a great tip and moves on. Next up is Holly Rae Stone, who has what Oz describes as "the perfect solution for hangovers." Stone responds that Pedialyte is not just for kids anymore, and we see containers of it on her table. A sign flashes on screen reading: "This is an off-label use and is not FDA-approved for treatment of effects following alcohol consumption." This stays on for the entire segment with Stone. Stone: After a night of indulgence and drinking, what happens when you drink too much alcohol, you get dehydrated. Your electrolytes get depleted. And Pedialyte is an excellent solution for hangovers because [as she and Oz toast] it has a much higher concentration of electrolytes and will rehydrate you faster than the typical sports drinks, so Dr. Oz, to your health. Oz reports that the Pedialyte is pretty good, though he says he hopes it's affordable [it's not--$6/liter!]. He thanks her. We wonder if it might have been better to just teach people to create an oral rehydration solution with sugar and salt, rather than promoting this "off-label" use of a commercial product that would also require the disclaimer, which may undermine the advice for some. Next up is Barkley, who has a secret for treating burns. Barkley: Yes, for minor burns, you can use whole milk. [Oz feigns incredulity.] Just whole milk with a little ice, pour it in [demonstrating], and typically if you burn yourself in the kitchen, you run over to the faucet, but a better option is the milk, because the proteins and lipids in milk actually promote healing. So it works a little better than just plain running water. . . . Let it stick in there for about 15 minutes, be sure to rinse it off. You can even make a compress, if you take a towel, hold it on for 15 minutes, just make sure to wash your hands and the towel, you don't want that sitting around . . . it'll stink. Oz thanks him and moves on to the last secret-bearer, Donna Cardillo, who Oz says has a "healing secret for itching." Cardillo: I do, it's mint tea. And mint has a lot of menthol in it, which has both anesthetic and anti-inflammatory properties. And it also has something called rosmarinic acid, which also is anti-inflammatory, and it's readily absorbed into the skin. So you want to take about an ounce of dried mint leaves [as Oz does], you want to make tea with it in about two cups of boiling water, cover it, let it steep, and then cool off, and then you want to take a clean cloth, and we've already done this [here] of course. You want to saturate it and strain it. [Oz says he has an itch on his back and turns around.] Yeah, any itches, OK. [She dabs at a place high on his back, at the scrubs line.] Let's try that, see how that works, it's cooling too, because it's cold, of course. Oz: It's such a pleasure to get a nurse to scratch my back! So who taught you, these are great ideas. Cardillo: Yeah, I learned it a long time ago, maybe at Girl Scout Camp. You get a lot of itches there. Oz (addressing all the nurses): Thank you all very much. I enjoyed the tips, I enjoyed also the honesty in telling us things that can save lives. I want to thank especially the nurses at my hospital, New York Presbyterian, you all came out here in force today. They've taught me a lot of the things I know in medicine, from the bottom of my heart I appreciate you coming out today. We have to give Oz and his show credit. At times he could be seen as talking down to the nurses, and he certainly takes a few missteps (like the stray remarks about "chatterboxes" and nurses scratching his back), but in general he seems sincere in wanting to present himself as learning from the nurses, showing that even physicians (even celebrity physicians) have something to learn from nurses--a very valuable message. The nurses who appear are diverse in terms of gender and race, which helps show viewers the variety of people who can become nurses, and the nurses are professionally dressed, which is apparently not something we can take for granted. The nurses are able to convey some valuable health information, and for the most part they come off as knowledgeable and articulate. Even when the information is really more of an everyday "tip," like most of the home health "secrets" in the last part of the segment, the nurses manage to offer a little background about why the tip is effective, even dropping in a technical term or two, which suggests to viewers that the nurses do actually have scientific knowledge. Consider Greer's reference to "exudate," Chaikin's to "hypertonic saline nasal wash," Barkley's to "lipids," Stone's to "electrolytes," and Cardillo's to "rosmarinic acid." Yet consistent with nursing's patient-focused approach, the nurses' advice is generally presented here in ways that the audience of lay people can understand. These nurses are of course in part trying to show that nurses know valuable things, but they manage to do so without seeming like they are showing off or talking over the audience's head. Even Cardillo's short summary of the scope and value of nursing did not strike us as unduly boastful (though maybe we're not the most objective judges of whether an advocate is pushing the profession's merits too strongly). On the other hand, we did find the relentless "secrets" approach condescending, as if the segment was a game in which the nurses had to be coaxed into revealing some trivial factoids, rather than a chance for them to convey professional health expertise, which is actually part of their jobs--we shouldn't have to "ask" them. Of course, nurses' expertise is secret in the sense that it's not well-known. But Oz's roaming the hospital hallways and the studio for "nursing secrets" is silly and a little degrading. And perhaps partly due to this approach and partly due to the self-help focus of the Oz show generally, much of what's here is really nibbling around the edges of nursing, little tips picked up from years in the hospital, rather than the advanced scientific knowledge that is based on university education. Oz does repeat the phrase "save lives" over and over--maybe to placate critics like us--but we could have used more information that clearly was about life-saving, like Cardillo's comments on nursing staffing, and maybe a little less about things like curing hangovers. There's no real discussion of nursing education or advanced practice nursing (Cardillo mentions NPs and Greer is a nurse midwife, but that is not explained). Thus, despite the articulate nurses and the knowledge on display, much of the segment is consistent with the impression that nurses have little education beyond high school. One fairly subtle issue is that so many of the nurses who appear get only first names, reinforcing the sense that they are low-level helpers, even if they have been around long enough to have noticed a few things. And of course, the nurses call the host "Dr. Oz" (actually they seem to have been told to call him that within the first five words out of their mouths), which, in addition to promoting the show's brand, reinforces the sense that there is a physician-nurse hierarchy. Granted, some nurses take part in this naming disparity in everyday practice, but it's not helpful. Despite its flaws, though, the segment is a mostly commendable effort to show daytime television viewers that nurses are skilled health workers with some independent knowledge. We thank Oz and his producers. Please send your comments on the show to Mehmet Oz's public relations person, Tim Sullivan at TSullivan@zoco.com and please copy us at letters@truthaboutnursing.org. Thank you!